After spending weeks trying to reach Raine Kendall, Dominants Liam O’Neill and Macen Hammerman have finally broken past the walls to their submissive’s wounded heart. Before they can enjoy their newfound closeness, Liam’s past comes back to haunt him when his ex-wife drops in-with a secret that could tear his world apart. 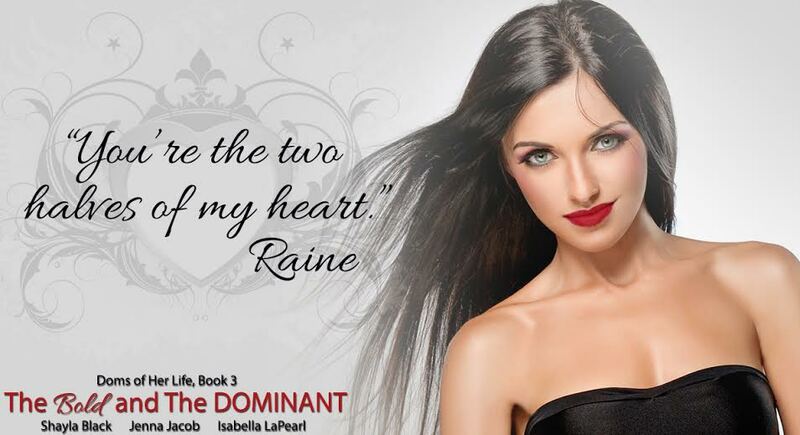 Forced to leave Raine in Hammer’s care, Liam is stuck on the outside, stewing in frustration and insecurity…and wondering if Raine no longer needs him or if Hammer alone completes her.